We wonder who stands to gain more - the brands or the movie makers! The tagline 'Apna Time Aayega' from Ranveer Singh and Alia Bhatt-starrer 'Gully Boy' has taken the internet by storm and how! 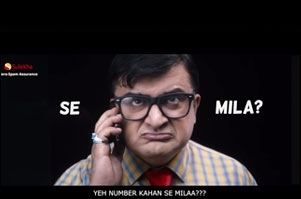 An array of brands(from FMCG to BFSI) are creating trailer spoofs, funny pages in an attempt to build a connect with their TG. We can't think of any other movie creating this much of buzz in the recent past. Directed by Zoya Akhtar, 'Gully Boy' is inspired by the lives of Mumbai street rappers Vivian Fernandes aka Divine and Naved Shaikh aka Naezy. Okay... for some days we are changing the answer of "Kyu?" to "Kyuki apna time ayega". Stay at home and order in 'cause #TheBoyWhoDelivers aapka pizza laayega! This Valentine's Day, #GullyBoy is following his heart. Will you? Just #PopYourHeartOut and #SayItWithSilk. Not only brands, even teams handling social media accounts of Mumbai and Nagpur Police are seen riding the wave on Twitter. Sneak in or storm in, photobomb the way you wish this Valentine's Day & win an iPhoneX! Add some crunch to the chocolaty couples selfies of your friends by photobombing them. Take the #PhotobombWithFills challenge & stand a chance to win an iPhone X!